iCloud's out today! And a lot of computing lives just got easier, assuming you could get all the requisite software to download and install. But one thing isn't cloudily fun: Photo Stream. It's a mess. Photo Stream only syncs your last 1000 or 30 days of iOS images. One thousand sounds like a big number! But thirty days is nothing. It's a crippling limitation. For a device you'll carry around with you everywhere you go, the things you saw within the past few weeks only are pretty inconsequential. This isn't true backup. It's a sliver of your collection. It's econo-backup. It's lame. 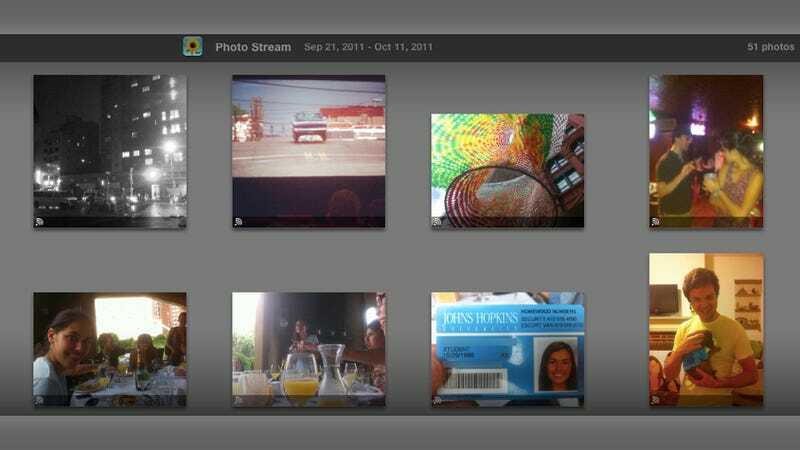 And then there's a nice, giant privacy concern: you can't delete anything from your Photo Stream. You can deactivate the whole thing entirely, in which case you lose it all. But you can't remove individual shots once they're in the cloud—and synced to everything Apple you own. The possibilities for, say, some sort of indiscreet photo winding up someplace it shouldn't be is amplified incredibly with this stupid design. It's creepy—I don't want Apple to tell me I can't delete pictures I took myself. iCloud should be a safety net, not a cage. We'll have our full review of iCloud tomorrow.